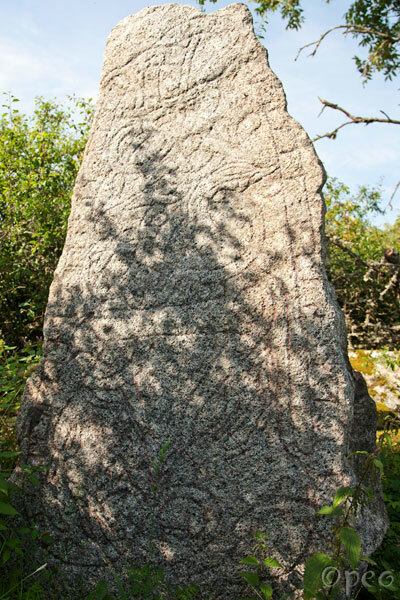 Brúni and Holmsteinn had this stone raised in memory of Gunnbjôrn, their good father. Two rune stones with exactly the same message, standing next to each other, and the old road used to pass between them.. The design is a mirror image of each other, so the beasts are facing each other. Impressive ! 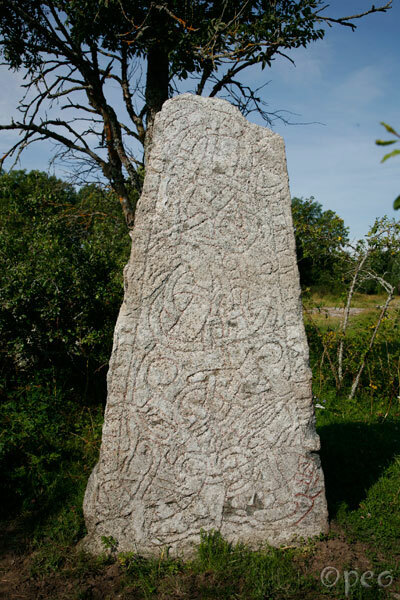 You'll find them less than 3 kilometres south of Enköping.